On May 30 suspension from FIFA and UEFA of the Bosnia Herzegovina Football Federation was revoked. Behind this triumph is a symbolic personality of Yugoslavian football, Ivica Osim. They used to call him the Švabo, the German. He was known as the master of dribbling, and for his ability to leave the field immaculately clean, even on the muddiest of days. Osim is from Sarajevo, living legend of former Yugoslav football and currently President of the Committee for the Normalisation of the Football Federation Statute of Bosnia-Herzegovina. After having put away his football shoes for good, Ivica Osim began a brilliant career as coach, a career that many times got mixed up with political events of former Yugoslavia. Osim refused ethnic labelling and always declared himself Yugoslavian. His resignation as coach of the Yugoslavian national football team in 1992 was sensational. At the time Osim wanted to give a sign of protest against the war that had recently begun, and out of solidarity towards his hometown, Sarajevo. Ivica moved abroad and continued his brilliant career as coach. 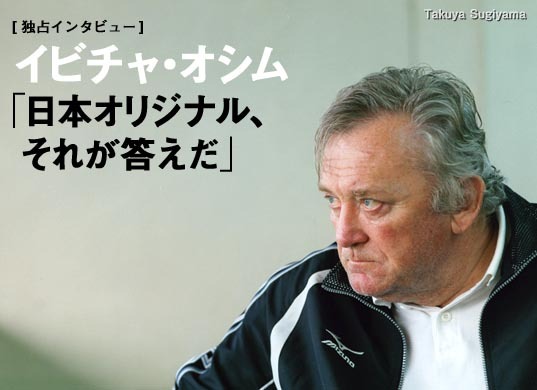 In November of 2007, when he was coaching Japan, Osim was struck by a serious illness and had to give up his appointment as coach, withdrawing from the profession. Ivica’s recovery was long and difficult. Having returned home, Osim continued rehabilitation but without going back to coaching. In an interview with a TV station in March 2011, Osim not only said that he would like to go back to coaching, which would actually help him get better, but that he’d even do it for “second or third category” leagues, just to get back into the scene. In the interview, Osim covered all territory, reaffirming also the need to always respect the opposing team. According to Osim, Bosnians first underestimate the opposing team and then, with their behaviour and their pompous words they provoke and encourage, in this way causing reaction and an inevitable defeat. But Osim’s destiny once again got mixed up in post-war events in BosniaHerzegovina. Football and politics are tightly connected in Bosnia. After the country went through an institutional paralysis, without a government since last October, what followed was a serious internal crisis of the Bosnian football federation. FIFA and UEFA therefore suspended Bosnia-Herzegovina and all its football clubs because the football federation didn’t change its statute according to FIFA’s requests. Such requests, as mentioned before, expected that Bosnia nominate only one President in place of the three (a Croat, a Serb and a Bosnian) who had up until then been managing the fate of the football Federation. The suspension, which went into effect on April 1, was the result of not having been able to come to an agreement. At the same time a committee was nominated to bring the situation back to normal. Ivica Osim was nominated president of the Committee. The Committee’s main task was to reach an agreement in order to modify the statute and make it comply with the FIFA and UEFA regulations. Ivica came back to the field. This time there was no mud in Grbavica stadium waiting for him, yet there was the metaphoric mud of football and politics mixed together, that seem to walk hand-in-hand with the institutional developments, among vetoes, blocks, requests for independence and autonomy. Would Osim be able to finish the game immaculately clean this time as well? Osim claimed that it is not possible, in light of what happened during the war, to automatically blame the delegates of the RS for the current situation in Bosnian football. One cannot blame others all the time for one’s own troubles, we need to start looking at our own mistakes. A climate of trust needs to be created. Osim’s words are reflections that are greater than this football situation and perfectly represent the political situation in Bosnia-Herzegovina, and the poisoned climate that has been dominant in these last months. It could be because Borac of Banja Luka is just a step away from winning the championship, it could be because Osim is a person above any suspicion, but what’s important here is that mediation and dialogue have produced results. The statute then obtained the approval of the delegates of Republika Srpska, as agreed upon by Dodik and Osim during the meeting. One last obstacle remains, though, in order to obtain the approval of the delegates of the Bosnia-Herzegovina Federation. The Sarajevo čaršija, and football milieus, didn’t take Osim’s criticism well. What mostly bothered them was the complaint that the diatribe behind the dispute was really aimed at maintaining privileges and power relations. 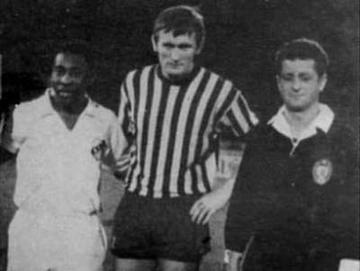 The delegates of the Federation of the Sarajevo Division were in fact ready to boycott the agreement, and maintain Bosnia's suspension from international competitions and its clubs. It’s the old principle: “May your neighbour’s cow die!” so happiness is achieved thanks to the misfortune of others (Borac excluded from international competitions), more than aiming at common success. The attempt failed though, mainly because the other Divisions made the delegates of the Sarajevo division give up this suicidal move. On May 26 the new statute was approved even by the delegates of the Federation of Bosnia Herzegovina, paving the way for the removal of the FIFA and UEFA suspension, which would have arrived a few days later. Strangely enough, a few minutes after the statute’s approval, the news from Belgrade about the arrest of Ratko Mladić arrived. Certainly a beautiful day for Bosnia-Herzegovina, some clear skies after the storm. Will politics know how to benefit from the lessons of football?